It’s that time of year when we’re all trying to figure out a gift that fits the person we’re buying for and that shares the message, “You’re special to me.” Here are some suggestions to make that easier. Some of our On Pasture readers have told us that they like Chip’s articles the best. In fact, some of the articles we’ve shared with you are excerpts from the books he has written. Chip shares his unique experience and understanding of the challenges involved in producing sustainable in the books he writes. You can find and read more about them here. 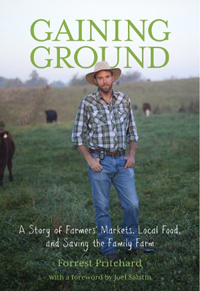 Forrest’s first book, Gaining Ground: A Story of Farmers’ Markets, Local Food, and Saving the Family Farm, came out just about the time that On Pasture was getting started. We were honored to be able to share an excerpt from the book with readers (which you can still read here), and have been tickled to see the rave reviews our friend has gotten ever since. In fact, his book was named a top read by The Washington Post, Publishers Weekly and NPR’s The Splendid Table! Forrest has share a lot of “How To” articles with On Pasture readers and with this book, you’ll get some behind the scenes stories to put them in perspective. You can read more about the book and order it here. Before Rachel and I started On Pasture, I traveled the U.S. and Canada, training cows, sheep and bison to eat weeds, and doing workshops and presentations to show farmers and ranchers how they could turn weeds into forage by teaching their livestock to eat them. Along the way I wrote a book with all the instructions and lessons I learned about how to train cows in just 8 hours over 7 or so days. You can download the first three chapters of the book here, and you can purchase the book here. If seeing it is better than reading it, I made a how-to video as well. Here’s link to that and and some other things of interest. Sandy is an amazing farmer, photographer, chef, and author. She’s participated in the founding of a number of farmer’s markets and producer organizations. If you’re thinking of dipping your toes (or diving head-first) into the world of direct marketing, Sandy’s book Selling at Farmers Markets, is for you. Her book How to Kiss a Chicken On the Lips and Other Funny Stories From the Farm is for anyone how has fantasized about giving up the cubicle for a tractor. Sandy lays out the realities of farm life as she takes us through the heart and history of the local foods revolution. 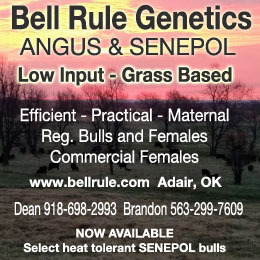 Greg is known for figuring out how to make raising beef pay using leased land and managing his herd as a mob to improve soil and increase forage. His no-nonsense books share his knowledge so that you can apply it to your own operation. Click here to order. 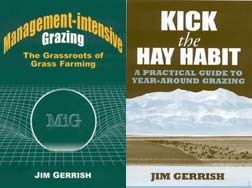 Jim is the author of the popular books Management-Intensive Grazing and Kick the Hay Habit. Loads of farmers and ranchers have used the information in his two books to improve grazing management and cost control on their operations. Click here to order. Recognize that last name? Yes! Trish Weil is the wife of On Pasture author Ray Weil and she’s an author in her own right. 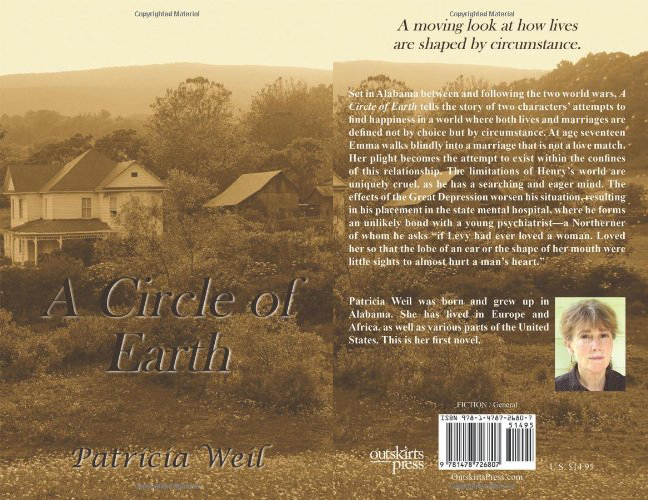 Her new book, A Circle of Earth, is set in Alabama between and following the two world wars, and tells the story of two characters’ attempts to find happiness in a world where both lives and marriages are defined not by choice but by circumstance. We’re lucky enough to be able to provide you with an excerpt of the book. You can also learn more about it and purchase it as a paperback or as a kindle book here. Bill Beaman is an Iowa farmer who raises beef cows and sheep and loves to tell good stories to entertain people, and that’s just what he’s done with his first three books, The Iowa Farmer’s Wife, Second Chance, and 3 Little Pigs, a trilogy that takes place is rural farm country. 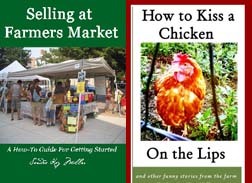 Beaman’s books are available in paperback and Kindle on Amazon or at his website, theiowafarmer.com. 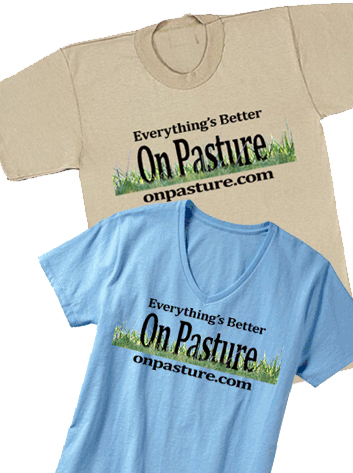 Of course you could always start with an On Pasture T-Shirt. 🙂 Head to the On Pasture Shop to pick out your size and color. 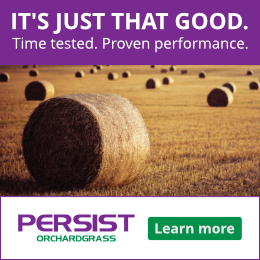 You’ll also see that you can simply give the gift of On Pasture. One size fits all, and we’ll even send you both a bumper sticker! One of our On Pasture sponsors is Texas Good Gloves. Everybody can use gloves! 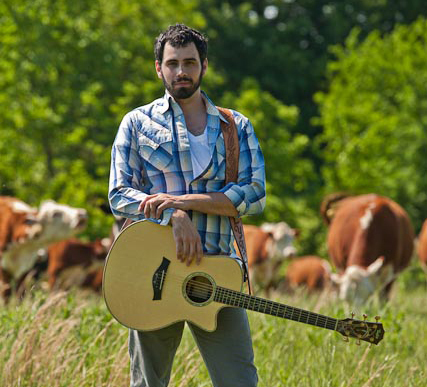 Lyal Strickland is a singer, songwriter and farmer raising grassed herefords in the Missouri Ozarks. You can listen to his music here, and you can order his CDs here. My friend Leah Ashley Esser and I had fun with a project we called “Zombie Victory Gardens” to help newbie gardeners prep for the Zombie Apocalypse by growing food in their own backyards. You can make sure that you’re ready with an “In Case of Zombie Apocalypse Save Me First! I’m a Farmer” t-shirt or hoodie. Limited sizes and styles left, so if you want one…. We also have a great set of WWII Victory Garden-themed posters for your “Walking Dead” enthusiast, just $1 each. And for the serious gardener, there’s a whole series of veggie earrings. You probably know someone who needs 2-Carrot Earrings! I just finished the book “Gaining Ground” by Forrest Pritchard. I read one book after another year round and I have to say “Gaining Ground” is the best non-fiction book I’ve read in a long time. People who read this book will get two things. One, they will get an enjoyable tale about a young man’s effort to convert his family’s financially troubled farm in to a sustainable profitable operation. 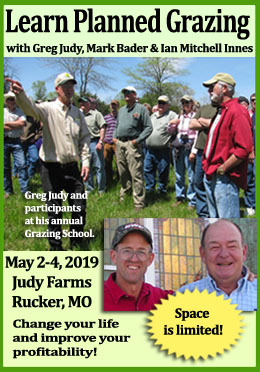 This information alone is a excellent source of advice and information to farmers of all ages, especially to those of you involved in direct marketing. Secondly, they will get an enjoyable reading experience about farm life, it’s joys and it’s pitfalls told through Forrest’s point of view. The book reminded me a lot of the “All Creatures” stories published years ago by an English veterinarian, James Herriot. My advice to readers of “On Pasture” is to purchase this book in either printed or ebook format, read it, then figure out a way to re-gift it to some special person in your life as an excellent Christmas gift.